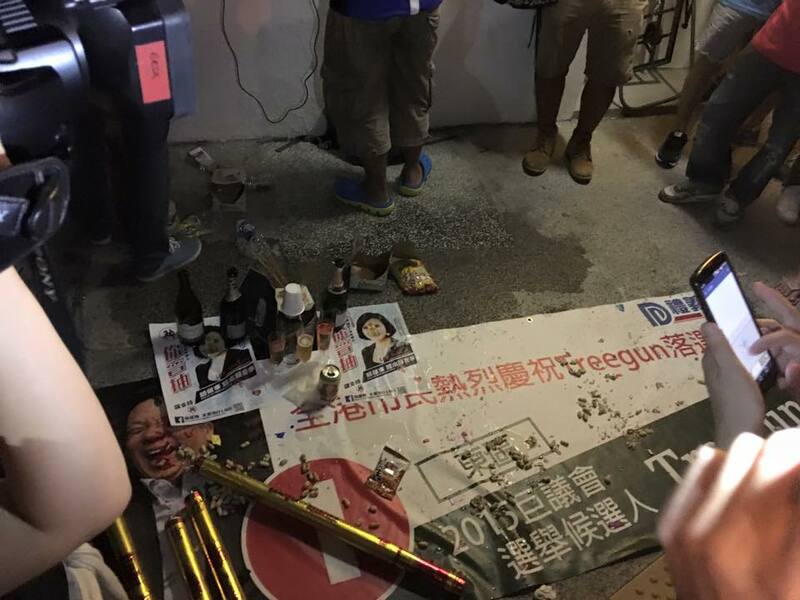 Dozens of local residents and activists gathered outside outgoing district councillor Chris Chung Shu-kun‘s office on Monday night to “celebrate” his defeat in the latest district election. Champagne bottles were opened, party poppers were set off and people sang a classic joyful Cantonese tune by pop singer Paula Tsui. Residents were happy to see Chung, who had been representing Yuen Wan in Eastern District for more than two decades, ousted in Sunday’s election. Police were called to the scene but no one was arrested. Police were called to the scene. Photo: Memehk via Facebook. A Facebook page was set up to organise the rally and the page had received over 12,000 likes as of Tuesday morning. 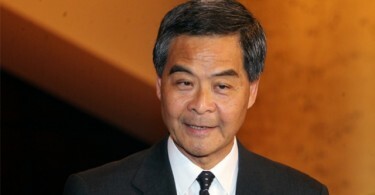 Chung, a pro-Beijing veteran politician nicknamed “Tree Gun” due to the Cantonese pronunciation of his name and his poor English, said the loss came as “a bit of a surprise” to him. 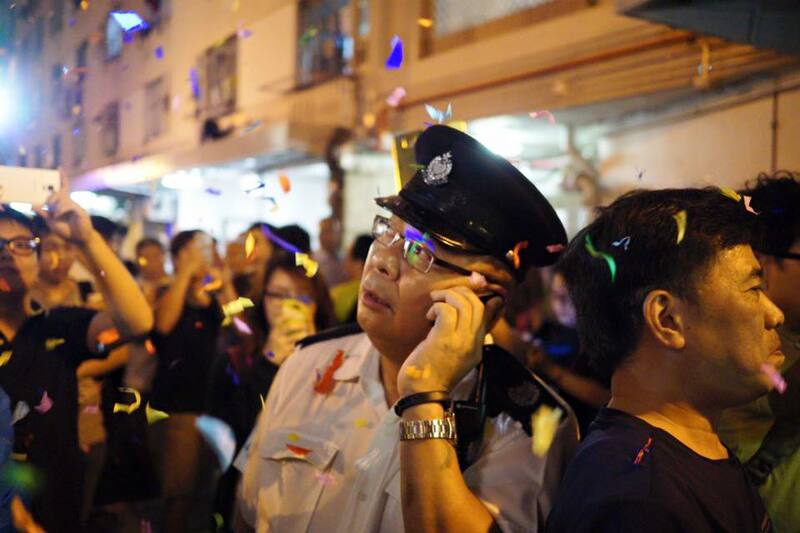 Residents in Yue Wan celebrate having a new district councillor. 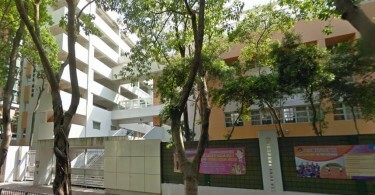 Photo: 全港市民熱烈慶祝treegun落選委員會 via Facebook. He was defeated by first-time candidate Chui Chi-kin. Chui is one of eight such “Umbrella Soldiers”, representing a new type of political organisation after last year’s pro-democracy Umbrella Movement, to have won seats in this year’s District Council Elections. A political cartoon featuring Chung as a tree being uprooted was liked nearly 5,000 times on Facebook.